A woman’s eggs (also called oocytes) are formed before she is born. These eggs stay in a resting state in hero varies until puberty, when normal hormonal changes cause an egg to mature (ripen) and be released each month. When a woman undergoes IVF, she usually takes medicine to cause more than 1 egg to mature at the same time. These eggs are collected before they are released from the ovary, and are then paced with sperm in the laboratory in hopes of fertilization. In some cases, some or all of the oocytes (eggs) that are collected are not mature and ready to be fertilized. In years past, these eggs were not able to be used for IVF. Advances in science have allowed embryologists to take these immature eggs and sometimes “ripen” them in vitro (in the laboratory). This is called in vitro maturation. The eggs may be frozen for later use (as immature eggs, mature eggs, or embryos after they have been combined with sperm and fertilized). Or, they may be matured, fertilized, and placed into a woman’s uterus in hopes of pregnancy. Are women undergoing in vitro maturation required to take injectable medicines to induce ovulation? 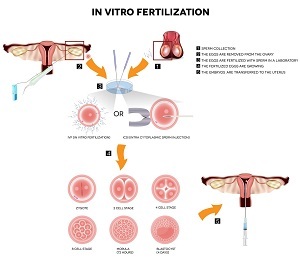 In the strictest type of in vitro maturation, no medications are given to stimulate additional eggs to grow; immature eggs are taken from unstimulated ovaries. However, in a modified IVM cycle, low-dose injectable medications may be given. 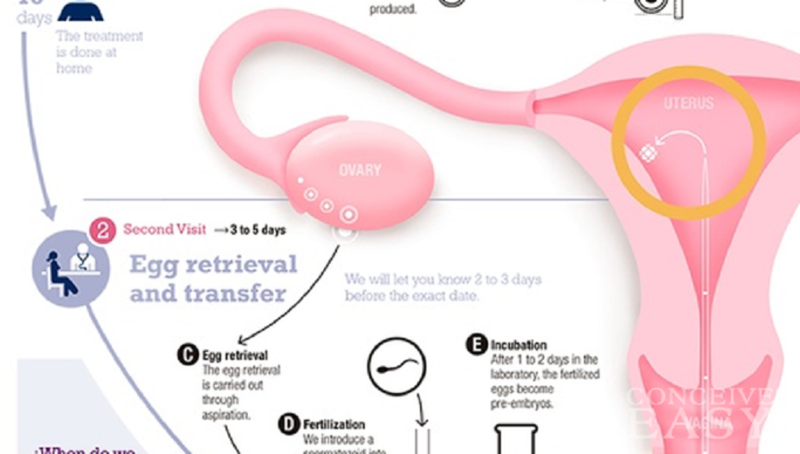 What is the purpose of using medicine to stimulate the ovary for in vitro maturation? In recent clinical studies, low-dose ovarian stimulation for removal of immature eggs may yield more eggs and improve the lining of the uterus to receive the embryo. gonadotropin agents when hCG is used for final follicular maturation (for more information about OHSS, see the ASRM patient fact sheet titled Ovarian hyperstimulation syndrome [OHSS]). However, using different medication for final follicular maturation called leuprolide (GnRH agonist) instead of hCG greatly reduces this risk and can be used as an alternative to IVM. IVM may also be appropriate for women who cannot wait the necessary amount of time to obtain fully mature eggs before cancer treatment begins. In women with estrogen-sensitive cancers, IVM avoids the additional estrogen production that is seen with conventional ovarian stimulation. Retrieving immature eggs for later use is a way for these women to preserve their ability to have a child later. Are there any benefits to IVM? IVM requires less medication than conventional IVF and lowers the immediate cost of treatment; however, the pregnancy rates are also lower, so it is unclear whether IVM is more cost-effective. An IVM cycle also takes less time. At present, this treatment is still considered experimental and is not recommended as a replacement for conventional IVF. However, in certain situations, particularly when conventional IVF is not possible, IVM is an alternative treatment. It is becoming more widely available, although pregnancy rates are lower in most cases. There may be certain groups of women who have equal success rates. Would IVM benefit all infertile women? At the present time, it appears that women who ovulate normally are not as successful with IVM than with conventional IVF. Research in this area is ongoing. Talk to your doctor to find out if in vitro maturation may be right for you.